Announcing a new, statewide initiative to support better health care for people with who have a combination of medical problems, mental illness, and/or addiction. Health Affairs guest blog post by MHCF CEO Dr. Aaron Wernham on how the Foundation has worked in its first two years to build new partnerships for American Indian and Alaska Native health. A New School-Based Health Center at St. Labre Indian School Provides Medical and Behavioral Health Services to Students and the Community. Dr. Aaron Wernham talks about the Foundation’s core strategies, important health issues in the community, and recent achievements. In recent years, Montana has seen per capita health spending rise faster than it has in 41 other states. As healthcare costs continue to rise, there is a need for innovations to improve health outcomes while also helping to contain costs. The Public Health and Safety Division in the Montana Department of Public Health and Human Services received funding to strengthen local and tribal health departments and local boards of health, strengthen community partnerships and increase the understanding of community’s health status, and to support targeted public health interventions. 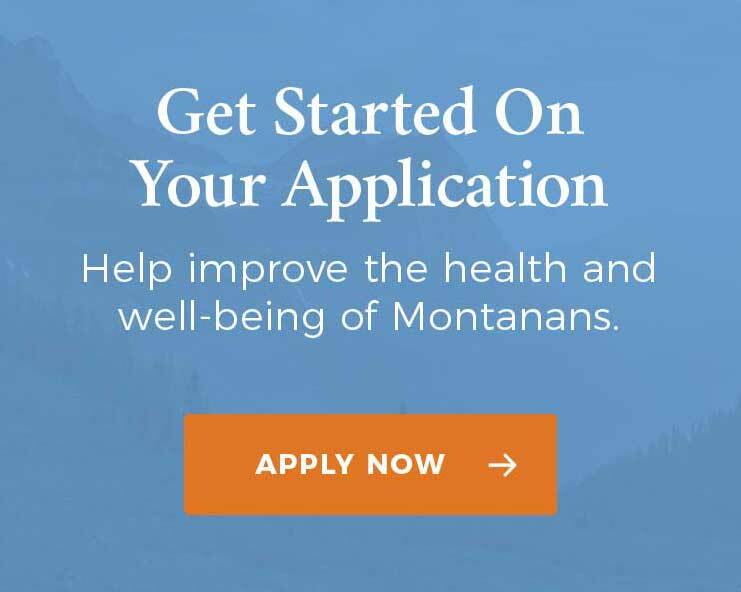 County Health Profiles offer an important new tool to help communities in Montana identify health needs and make plans to address them. In 2014, MHCF issued a major grant to support the work of county and tribal health departments around the state. Here we highlight several innovative and critically-needed initiatives being led by health departments and funded by the MHCF. Listen to Yellowstone Public Radio’s Home Ground host Brian Kahn interview MHCF CEO Dr. Aaron Wernham on the Foundation’s strategy for addressing Montana’s challenging health issues. For its first grant, MHCF gave $1.3 million to Montana health departments to identify community health needs.